As the weather heats up this July, the Woodstock Film Festival invites you to cool down with us for four Saturdays of events. Join us in Woodstock for three special screenings and one benefit concert! Stay tuned for upcoming events throughout the summer. On Saturday, July 8 at 9pm, the Woodstock Film Festival will present a special screening of JOE COCKER: MAD DOG WITH SOUL at Upstate Films Woodstock. The film's director, John Edginton, and Woodstock Music Festival promoter, Michael Lang, will host a special Q&A session after the screening. Tickets are still available online and at the door! Please arrive 15 minutes prior to check in and claim your seat! On Saturday, July 15 at 2pm, the Woodstock Film Festival will present a special screening of STORY OF A GIRL at Upstate Films in Woodstock. Following the screening, there will be a Q&A session with guests; director Kyra Sedgwick and editor Sabine Hoffman. Don't miss this special screening, happening before the film's official television premiere on Lifetime on July 23, 2017. Tickets are available online for $10. On Saturday, July 22 at 2pm, the Woodstock Film Festival will present a special screening of STRANGE WEATHER, starring Holly Hunter, at Upstate Films in Woodstock weeks before it makes its theatrical premiere. The film's director, Katherine Dieckmann, will attend the screening and host a Q&A after the film. Tickets are available online for $10. As part of the Giving Back Concert Series, The Paul Green Rock Academy will host a concert on Saturday, July 29 at the Woodstock Lodge benefitting the Woodstock Film Festival. Doors open at 6PM for a 6:30PM show. Tickets are available at the door for $10. In 2002 Paul Green founded the world famous School of Rock. Paul Green joined the Woodstock Film Festival in 2011 as the Music Coordinator. The Woodstock Film Festival announced on June 28 that legendary music manager, film producer and culinary arts visionary Shep Gordon, will be fêted as the 2017 Trailblazer. 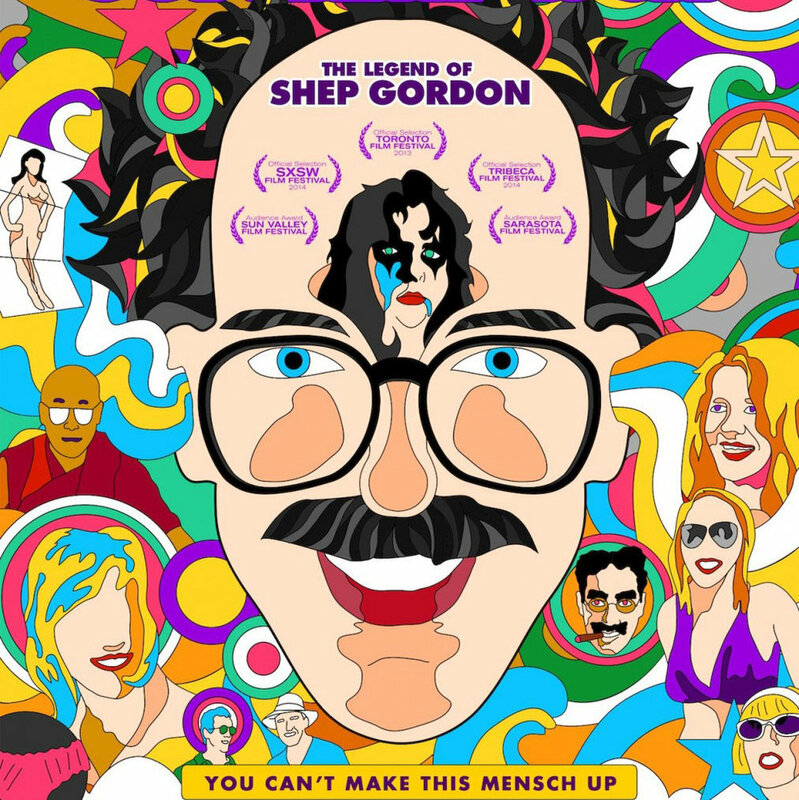 Gordon, who is the subject of the 2013 hit documentary film SUPERMENSCH: The Legend of Shep Gordon, directed by Mike Myers, was chosen for his steadfast career launching one of the first independent film companies and film distributors, Alive Pictures/Island Alive, as well as managing musicians such as Alice Cooper, Teddy Pendergrass, and Luther Vandross; and for sparking the celebrity chef phenomenon by being the first to represent the likes of Emeril Lagasse, Wolfgang Puck and Daniel Boulud. The Woodstock Film Festival's Trailblazer award is given to a leader in the film and media arts industry who has carved innovative paths in the business, established an independent vision, affected social change, and created a strong and widespread appreciation of quality, substantive change in the arts. The Trailblazer Award will be presented to Gordon on Saturday, October 14, at the Woodstock Film Festival's Maverick Awards Ceremony at Backstage Studio Productions in Kingston, NY. "It's a privilege to present our 2017 honorary Trailblazer Award to Shep Gordon," said Meira Blaustein, Co-Founder and Executive Director of Woodstock Film Festival. "His visionary approach to music, film, artistic and culinary endeavors, coupled by his generous spirit which has inspired and empowered countless artists, is truly admirable, making him the epitome of a Trailblazer." Other 2017 Honorary Award Recipients to be announced. Juried awards will also be given to filmmakers in various competition categories. Tickets for the Maverick Awards Gala & Ceremony can be purchased here. We are always looking for additional interns and volunteers during the festival season. Volunteers are the heart and soul of the festival, and operations would not run smoothly without our dedicated team of volunteers. Internships offer students the opportunity to get hands on experience with all the necessary components of running a festival from press, to operations, to production. We are currently looking for interns in all departments for the time leading up to the festival. Do not miss this opportunity to work with industry professionals in a fun, fast-paced festival environment! For more information on these positions, please visit our jobs page. Discounts are available to businesses in Woodstock, Saugerties, Rhinebeck, Rosendale and Kingston. Spaces fill up fast! Our deadline is September 8, but early submissions are highly encouraged. IFC will release Woodstock Film Festival alum and Woodstock local Alex Smith's new film WALKING OUT on October 5, 2017. Alex and his brother, Andrew, worked together to direct the film. WALKING OUT appeared at Sundance in 2017 and was nominated for a Grand Jury Prize. "The 96-minute drama was written and directed by two Montana brothers, Alex and Andrew Smith. It tells the story of a divorced father and his estranged 14-year-old son, who comes to visit for a winter hunting trip. A struggle to understand each other becomes a struggle for survival, following a surprise encounter deep in the mountains. "-James Rainey, Variety. Alex Smith is a long time friend of the Woodstock Film Festival. His film WINTER IN THE BLOOD appeared at the 2013 Woodstock Film Festival and earned an honorable mention at the Maverick Awards. Watch BLIND in theaters and on demand starting July 14, 2017. Woodstock Film Festival's 2016 entry BLIND releases in theaters and on demand July 14. The film made it's world premiere at the 2016 Woodstock Film Festival with Michael Mailer (director), John Buffalo Mailer (writer), Alec Baldwin (actor) and Eden Epstein (actor) all in attendance. The film will also be screened on July 16 as a part of the Provincetown International Film Festival. We are thrilled to welcome back SAGindie as a sponsor for this year's Woodstock Film Festival! SAGindie promotes the working relationship between professional actors and passionate independent filmmakers. Since its formation in 1997, SAGindie has been traveling to film festivals, trade shows, and conventions spreading the word: Just because your film isn’t produced by a studio doesn’t mean you can’t use professional talent. As a free resource, SAGindie offers filmmakers clarity and kinship by guiding them through the SAG-AFTRA signatory process, making it even easier to hire professional actors, regardless of budget. SAGindie is made possible by a grant from the Screen Actors Guild-Producers Industry Advancement & Cooperative Fund. Our call for entries is officially closed for the 2017 Woodstock Film Festival. Thank you to all who submitted films this year. Decisions will go out in mid-September. We are looking forward to a phenomenal festival season!